Sale of plants, general management. Lower horticultural school, from 1963 until 1965 secondary horticultural school in Venlo, in 1966 one year secondary study of garden layout and maintenance in Venlo. After completing my education I continued working for my parents’ company. I worked for the company together with my father Sjang Neessen for many years. Being particularly interested in horticulture myself, I started propagating strawberry plants for local strawberry growers in 1968. In 1982 I continued the company in a partnership with my brothers Herman and Jan Neessen. Together we ran a successful mixed farming business for 25 years. In 2007 my two brothers left the business and that meant the end of our company’s livestock activities. That same year my two sons, Johan and Peter, joined the company. The three of us now work together to continue our healthy enterprise’s success. Every year we face the challenge of following our crops’ development and improving their quality and yields where necessary and/or possible. The people involved in our company always greatly enjoy the challenge of innovations. If it were up to me, our company would continue to exist for many more years. Elsanta. 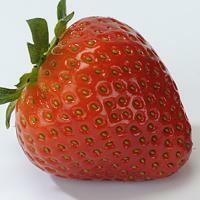 This has been a leading strawberry variety for almost 30 years. It is a tasty, firm strawberry with which I have achieved wonderful results in both our plant-cultivation and our former production-cultivation efforts! Figaro. This strawberry has the best outward appearance!